I am not a trend follower. I am more of what I like to call a relaxed classicist. I tend to decorate rooms with the end goal for comfort and elegance, versus making a grand statement. But, I do see trends creep into my rooms, sometimes by accident. I think we are all subtly influenced by movies, magazines and fashion. These influences take hold in our subconscious and suddenly we find ourselves obsessed with a new fad. My current obsession is wicker. I love it so much as it has a vintage and historic feel, but it also injects a casual nature to a room. Because of the surge in Bohemian chic style, wicker has emerged as a youthful trend for sure. Macrame wall hangings, with their woven texture, are riding a big wave right now. But, to me, macrame feels very Mrs. Roper, as I’ve written about before. Wicker in a room can give that same youthful mood and texture as macrame, but with a more timeless appeal. Long after the macramé becomes passe, wicker will be timeless. Wicker also gives the same appearance as painted wooden furniture and maintains a more traditional aesthetic. 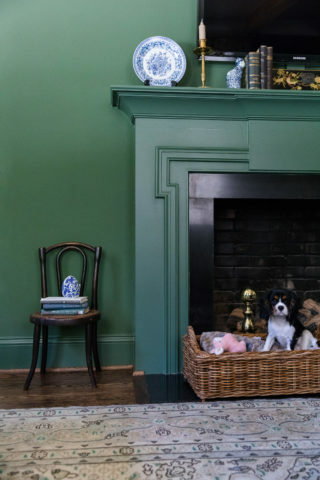 In formal rooms, a finely woven basket to hold a plant or magazines would inject a more relaxed, casual feel, playing into the current trend. At Boxwood Hill, we have put Dixie’s dog bed into a wicker tray intended for a table top and voila, custom dog bed! 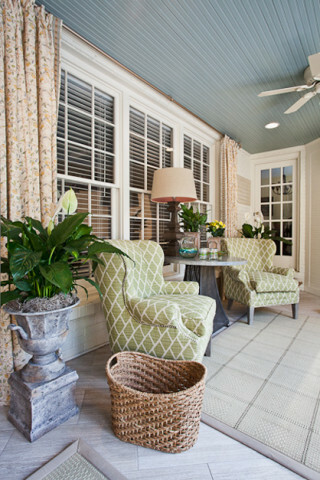 I have used wicker chairs as a counterpoint to other formal furniture in my rooms for years. This helps bring down a formal tone and turns up a more welcoming mood in an otherwise stuffy décor. 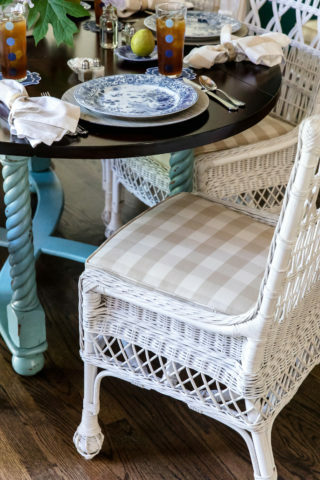 I find when I am decorating for clients with great collections of porcelain, the texture of wicker softens all of the dishware, making it more approachable for guests who may find such collections stuffy. Wicker is also relatively inexpensive. Baskets are an affordable accessory for sure. 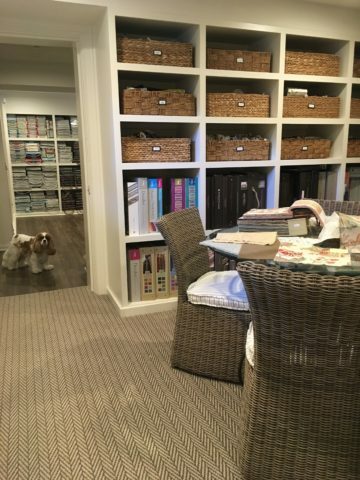 Just run to the home store and pick up something to hold magazines, a caddy for napkins for the kitchen and a large tub style to store shoes by the back door. These are all inexpensive ways to add a trendy touch to your interior rooms. Don’t forget to use wicker outdoor, even if it’s not all weather. Baskets will last a season or two as decorative containers for annuals or huge boxwoods also are beautiful when paired with wicker. The waxy texture of the boxwood leaf gives a nice shine contrasted to the matte finish of a wicker container. 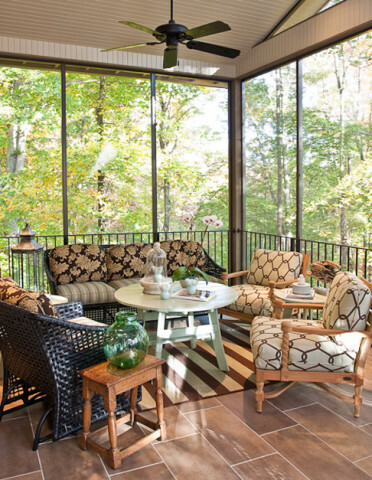 And of course, wicker furniture is a natural for patios. I use it on most of my exterior projects as they harken to a more relaxed time and provide a nostalgic touch to an outdoor tableaux. 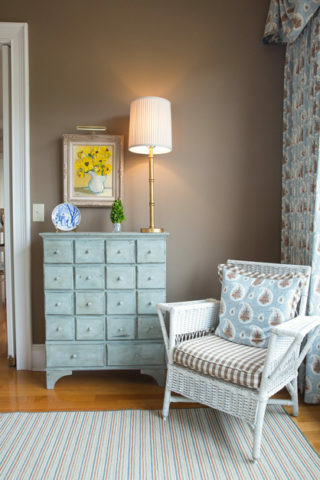 Take a chance on the new, old trend by adding a touch of wicker to each of your rooms. I think you’ll enjoy the youthful and relaxed energy it will bring, providing another layer to create more depth and texture to your rooms. The Subscription sign up form for the footer. Renovation, remodeling, space & furniture planning.